If the share in East Godavari (1st week share crossing Pokiri final’s share) is any indication, Mahesh’s Businessman is set for a scorcher of a run in terms of sheer returns on investment. 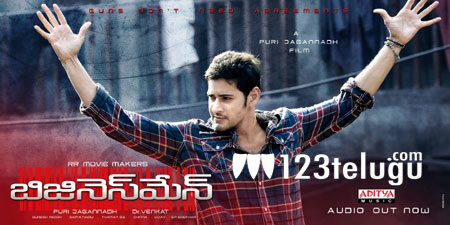 Coming on the heels of a mega hit like Dookudu, this is indeed amazing. Lady luck too seems to have, for now, fallen for his smile. Another way of looking at this run is: Mahesh seems to be in a zone of his own. Like he says in the movie; “Gurthu paettuko… Neekantae Thope Evvadu Leadu Ikkada”. Belief, they say, is half the miracle. Mahesh seems to believe he can pull off any character. Frankly speaking, very few heroes can play an anti-hero character with any conviction. Mahesh, on the contrary, did it with charisma to spare. The impact of Businessman in Kollywood will be known in another week. That then would be a different story.